Munster progressed to their 14th European semi-final on Saturday with a hard-fought 17-13 win over Richard Cockerill’s Edinburgh at BT Murrayfield. 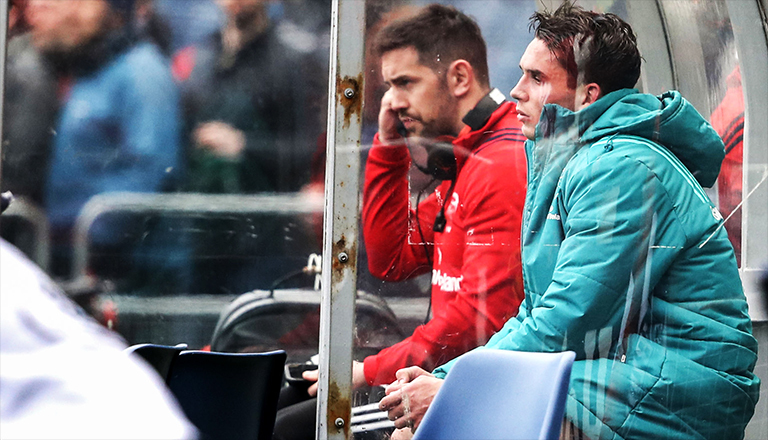 But the win may have come at a huge cost with Joey Carbery picking up yet another hamstring injury that ended his return to action prematurely in the first-half. “Joey Carbery has a left hamstring injury and will be assessed further by the medical department today.” Munster said in their squad update. Munster play Saracens in the semi-final stages of the Champions Cup on April 20 and will be hoping Carbery will be back in time for that huge clash at the Ricoh Arena. Meanwhile Jack O’Donoghue will follow the graded return to play protocols after he failed his HIA on Saturday.